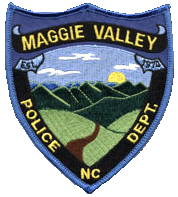 On behalf of the Town of Maggie Valley Police Department, I would like to welcome you to our web page. 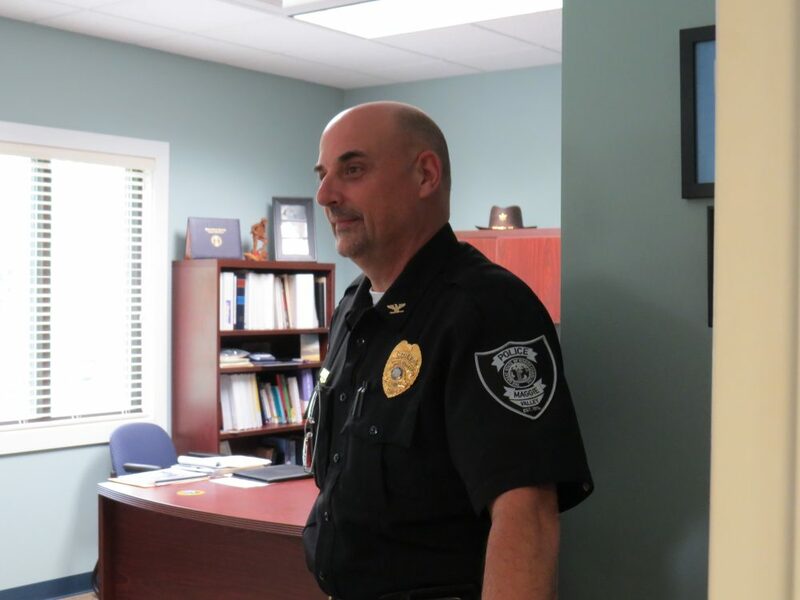 I am honored to serve as your Chief of Police and consider it a privilege to work with the dedicated officers and staff of the Town of Maggie Valley Police Department. 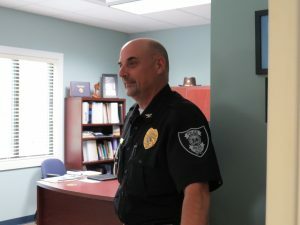 The Town of Maggie Valley Police Department is a full-service public safety organization consisting of both Patrol and Criminal Investigations Divisions. Our mission is to protect the lives and property of the people we serve while reducing the incidence and fear of crime. Our mandate is to do so with honor, integrity, and pride at all times while maintaining the highest ethical standards to safeguard the public trust and confidence. 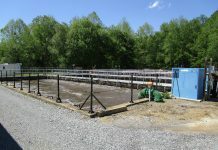 The Town of Maggie Valley Police Department is committed to enhancing the quality of life of its residents and property owners through various projects and programs designed to facilitate cooperation and collaboration within the community. 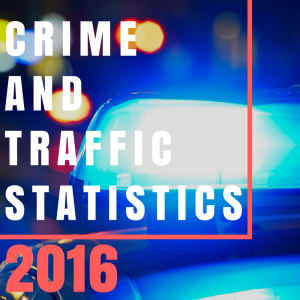 Due to the tireless efforts of the professional officers and staff of the Maggie Valley Police Department, our community continues to be a safe place to live and visit in North Carolina. The community’s support is essential to our continued success as a progressive policing agency. Together, we are able to achieve positive change to sometimes complex problems, while enhancing the quality of life for our entire community. This site is designed to provide you, our citizens, residents, tourists and business owners with insight into our workplace and to new and ongoing programs that have been instituted to strengthen the Department’s crime-fighting infrastructure and to work closely with the citizens and residents to keep our community a safe place to live, work and visit. With that I welcome you to our beautiful town and hope you will pay us a visit, stay a while and relax in this peaceful setting in these wonderful Blue Ridge Mountains! The mission of the Maggie Valley Police Department is to provide our community and visitors with the highest quality of law enforcement services. We continually improve the public’s perception of community safety by reducing crime and the harms associated with criminal activity and any conditions that have a detrimental impact on public safety. The Department will accomplish this task while using the Community Oriented Policing model. The Maggie Valley Police Department will continue to grow, adapt and evolve as we provide the highest level of service and protection to our residents and the visitors of our community. We will provide this service in a manner which is fair, courteous, responsive and efficient. With this vision in mind, we will achieve them by providing our officers and employees with the knowledge, tools and opportunities to meet and exceed all present and future needs of the Town within the scope of law enforcement services. We will work in cooperation with our community to proactively identify and address areas of needed improvement, and to continually provide the level of service and safety deserved by our Town, its residents and visitors. Our Police officers take pride in their work, we are dedicated to public service and being the best we can be. We will serve our community with these core values: Honesty, Integrity, Ethical behavior, and a consistent discipline within our organization to maintain our credibility with the community. The Town of Maggie Valley Police Department is committed to being a professional law enforcement agency. This means our style of policing is community-oriented and includes a problem solving approach to quality of life, crime prevention, and law enforcement issues. Currently, all Maggie Valley Police Patrol Vehicles cruisers are equipped with state-of-the-art, in-car video systems. They record digitally and automatically download to a secured server located in the evidence and property room. Our officers wanted to take this a step further with body-worn cameras (BWC). This is a mark of a professional agency. We are not afraid to capture what we see and say in the course of our daily work. In a brief paragraph please report your complaint. 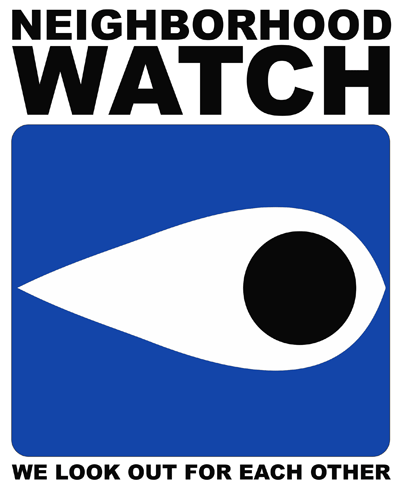 Neighborhood Watch does depend on you calling 911 for in-progress emergency calls or calling 828.926.0867 for non-emergency situations. Suspicious activity calls can be handled with a minimum of personnel compared to the investigation of an actual crime. Do not hesitate to call as often as necessary. We expect more calls from Neighborhood Watch groups. Contact the Town of Maggie Valley Police Department at 828-926.0867 or rgilliland@maggievalleync.gov. Contact the Crime Prevention Officer to see when they would be able to attend the start-up meeting. It is important to contact the Crime Prevention Officer at least two weeks prior to the meeting. Once a date and time has been coordinated with the Crime Prevention Officer, develop a meeting announcement flier, make copies, and distribute them to the neighbors. When the flier is delivered, stress the importance of having at least one adult person from each household attend the meeting. Notify the Crime Prevention Officer how many households will be attending the meeting. At the first meeting, the Crime Prevention officer will assist you in organizing your neighbors in to a pro-active Neighborhood Watch Group. The Crime Prevention Officer will provide educational material and personal instruction in crime prevention techniques. A pedestrian has the right-of-way to cross a street once in the crosswalk and is encouraged to make eye contact with the drivers of all vehicles and/or bicycles to ensure it is safe to cross. “I see you stopping, so I know it is safe to enter the crosswalk,” is what the pedestrian should think. To access crime and traffic statistics from 2010 through 1999, access the tab to the left.